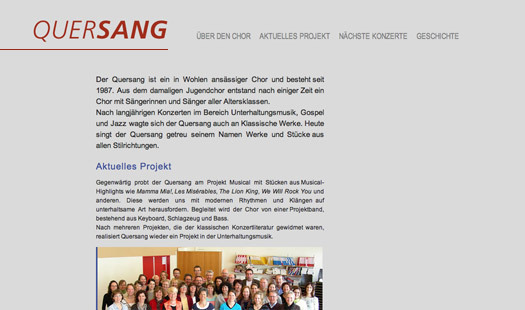 New website for the Swiss choir Quersang. The website is setup with WordPress and the content can be updated and managed by several authors. A project by og3, in collaboration with Ursi Bärtsch who designed the logotype and the website.